I made this chili for Super Bowl Sunday, and while I am a bit sad the 49ers aren’t playing today, this deliciously hearty bowl of chili has made my stomach very happy! 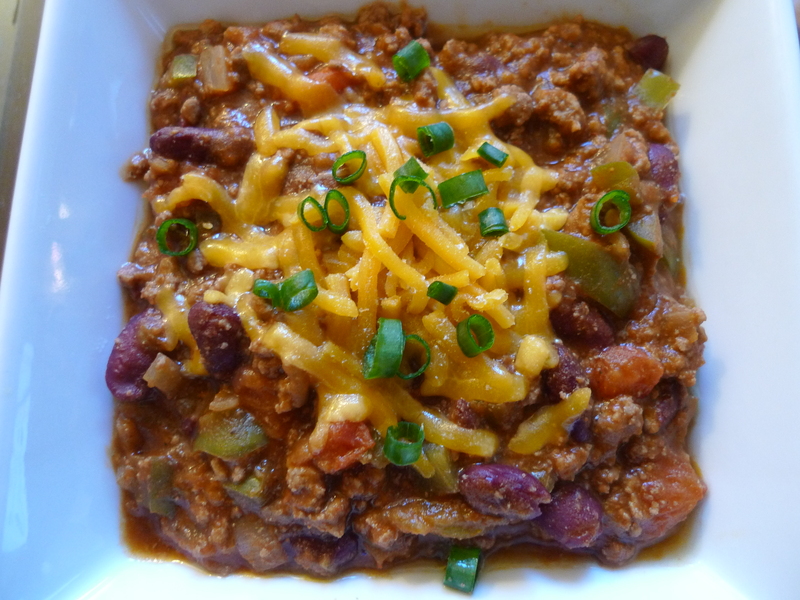 I found two super easy chili recipes on AllRecipes.com that I decided to combine to make my chili: Debdoozie’s Blue Ribbon Chili and Flatlander Chili. Debdoozie’s recipe is made very simple by using a jar of salsa, which was perfect for me as I have *still* been trying to get rid of the stockpile of salsa leftover from our ski trip and I couldn’t make more batches of my Vegetable Salsa Soup. I didn’t have chili seasoning mix, so I checked out other recipes to figure out what to put in the mix. Flatlander Chili had a perfect recipe of chili seasoning (chili powder, ground cumin, garlic powder, salt, black pepper, sugar, cayenne pepper, and oregano) and I loved the addition of green bell pepper he added as well. I also threw in some hot cherry peppers to crank up the heat. 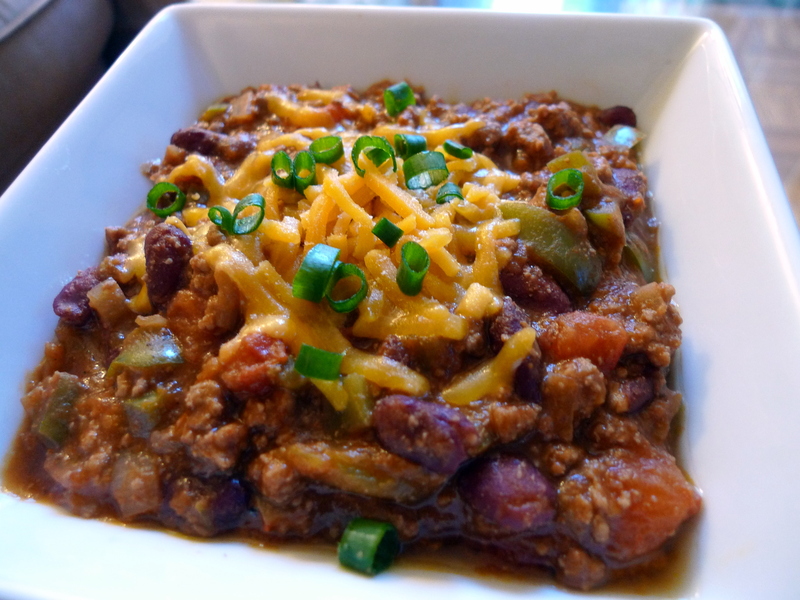 Enjoy this “super” chili recipe with melted cheddar, chopped green onions, and a football game! 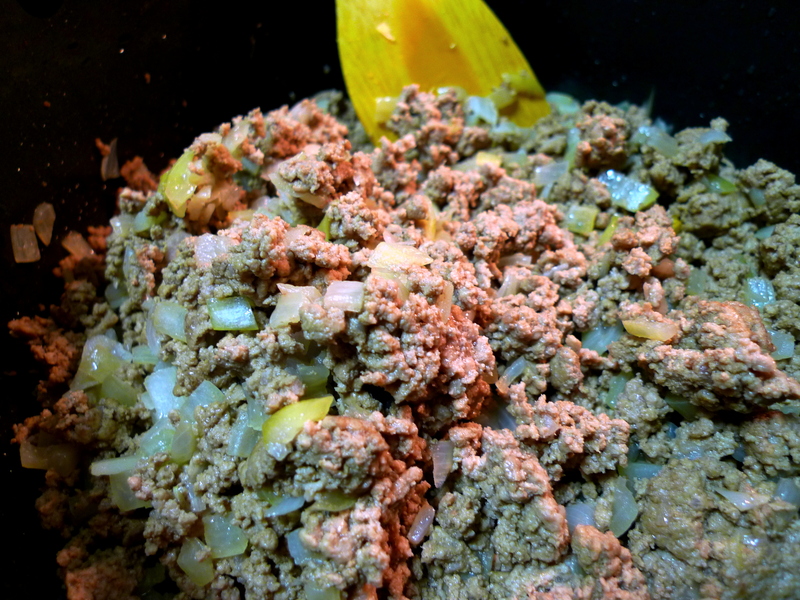 In a large saucepan over medium heat, sauté the ground beef and onion for 10 minutes, or until meat is browned and onion is tender. Drain the grease. 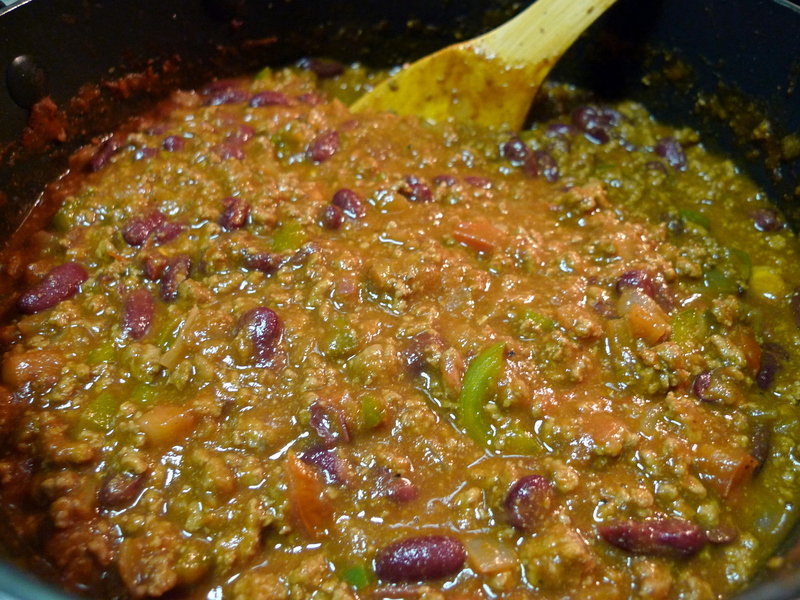 Add the rest of the ingredients to the pot and mix well: tomato sauce, salsa, green bell pepper, hot cherry peppers, kidney beans and the chili seasoning ingredients. Bring to a boil and then reduce heat and simmer for 1 to 1 1/2 hours, stirring occasionally. Right before serving, sprinkle some cheddar cheese and chopped green onions on top. Enjoy with some bread, crackers, or just by itself! I’ve been loving your blog from the start, many thanks! Sound like a good combo. Always looking for chili recipes.